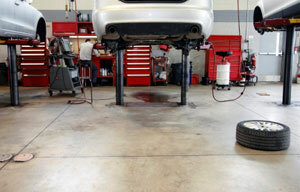 TriState Business Insurance garage program provides an affordable way for you to cover your automotive services. One important aspect of your insurance should be to protect the autos left in your care while you are working on them. We do this through what is called GARAGE KEEPERS LIABILITY. You have spent your time, energy, and money in building your business; let us take care of protecting your business with providing a tailored insurance program for your automotive repair shop. For over 20 years, TriState Business Insurance has provided general liability, property coverage, and worker’s compensation coverage for automotive service and repair shops across Virginia, Washington DC, and Maryland. And when unfortunate events happen, we are right there to help expedite your claim and return you and your business to normal operations. Call us today and let us review your current insurance policy, first and foremost, to see if you are properly protected, and then explore cost savings potential.